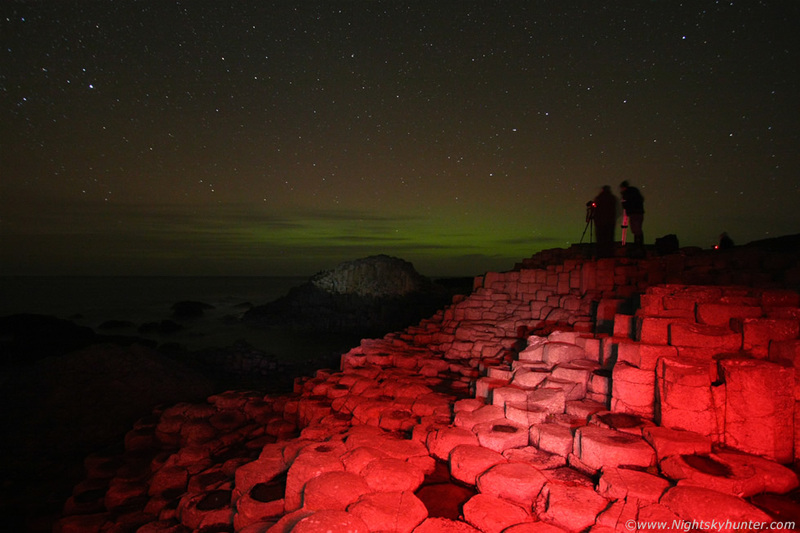 Aurora display over the Giant's Causeway during the early hours of Halloween 2013 after a major aurora outburst. The green glow looked peaceful with the famous Causeway rocks in the foreground which I lit with my red head torch. Several aurora photographers can be seen at work in the dead of night enthralled in the lure of the northern lights, read the report for more information. * All images are available for sale in the form of photo prints, canvas or digital files for licensing, if you are interested in a purchase simply drop me an email.